That being said, the story is incredible and takes a new spin on several mainstays of the Batman's lore/universe. 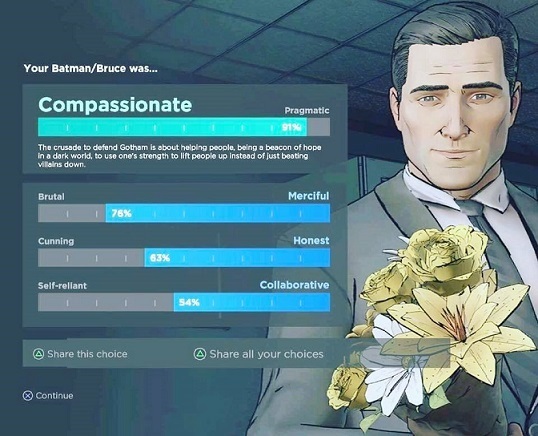 The player takes up the mantle of Bruce Wayne, a.k.a. 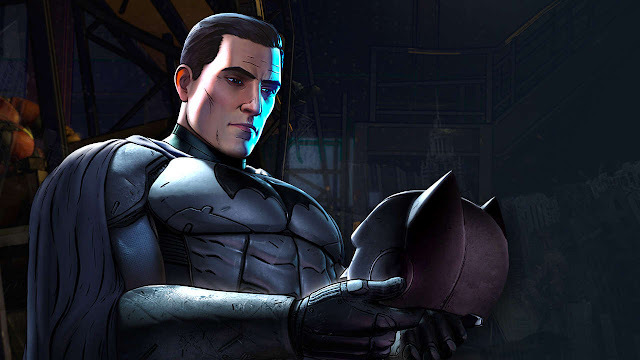 Batman and you must decide how to handle situations, either as the billionaire Bruce Wayne or as the Caped Crusader. Just have to be careful though, everything you do has consequences. And you must decide who to save or who to leave on their own. Tough choices to be sure, do you break into your hostilely corporate headquarters and stop your archrival from hacking into you Battech or do you rush to your fancy manor to save Alfred from an attack spearheaded by Harvey Dent/Two-Face? They are everywhere in this game. 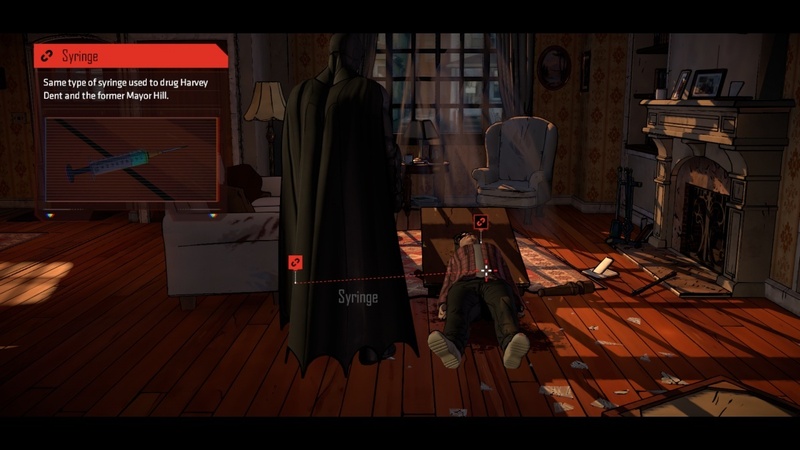 Some of the less than stellar parts of the game go directly with the "detective" scenes. Having to recreate a crime scene to figure out just how the baddies did their baddie things. Basically it turns into a series of "connect the dots", trying to piece the crime scene together by going backwards. These aren't necessarily bad, the first time it was used actually had me intrigued on how they would expand this feature, but alas; these moments greatly slowed down the pace of the game/story. And oftentimes felt like filler content to make the purchase of the episode "worth it". For any fan of Batman, seeing the different takes on the iconic characters throughout the game might be jarring, but I'm glad TellTale brought new life to some of these decades old icons. And everything sets up a second season pretty well. I won't spoil anything, but I'm sure Joker (or John Doe as he likes to be called) will play a much larger role in the sequel than he did this time around.